Ten years after the fight to save Naboo from invasion, the galaxy is on the brink of civil war. 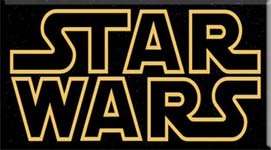 Under the leadership of a renegade Jedi, thousands of solar systems threaten to secede from the Galactic Republic. A courageous Jedi Knight, his impulsive and headstrong apprentice, and a queen-turned-senator are drawn into the heart of the conflict... and the beginning of war. The reek is a massive beast with three deadly horns protruding from his ferocious head. Often unleashed in the Geonosian gladiatorial arena, this bullish beast is more than a match for brave warriors. . .